With the Astrale Edition, the Curieux E Liquid is part of the mystery to discover. 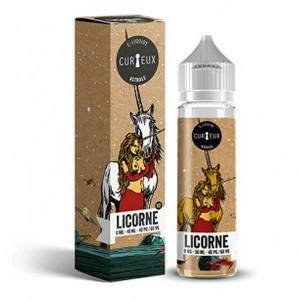 Your Curieux E Liquid for the Electronic Cigarette is made in France by Le Petit Manufacture. Each Curieux E Liquid has been rigorously chosen for its quality fabrication and taste. 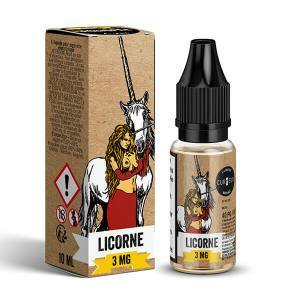 Issued with the Astrale Edition, this range regroups unforgettable flavours such as the Phoenix, Custard Coco, La Licorne, a marriage for Strawberries and Dragon Fruit. The Curieux E Liquid Astrale Edition is in a 10ml bottle, and prepared in 40/60 PG/VG with different rates of Nicotine. The Curieux E Liquid invites you to savour gourmet E Liquids gracious to the delicious and surprising flavours. Taste the subtle Mango and Peach with the Cassiopéé E Liquid or even Rhubarb and Caramelised pear of the Centaura. The Curieux E Liquid adapts to your needs by proposing different rates of nicotine from 0mg to 12mg with a proportion of 40/60 PG/VG. Its time to lift the veil on this mysterious part and offer yourself the Curieux E Liquid which can be found on our Website. You will find in the 10ml bottle, infinite flavours.